Our company effectively manages people, processes, equipment, time, and money to ensure that each construction project is timely and efficient. We set ourselves apart by establishing honest, open communication that saves money, improves quality and ensures a smooth building delivery that meets the client's expectations. By identifying potential issues with design, budget, and schedule, we minimize wasted time and unnecessary costs, therefore maximizing the value the client receives. 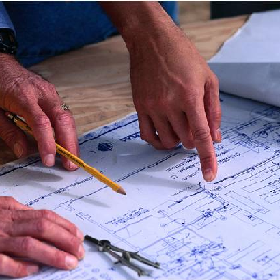 Although we specialize in high performance, energy-efficient new home construction, we also offer a wide variety of building services to fit your project needs. Here are just a few. Home design services are also available for a total concept to completion experience. 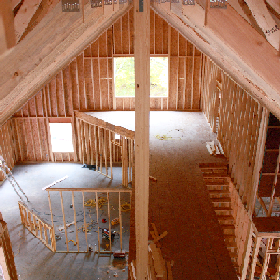 The process begins by creating a rough design of a home that reflects the style and size you are interested in. We then customize the layout based on your needs and lifestyle. 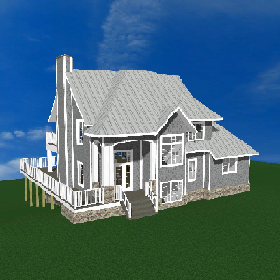 3D computer rendering is then used to produce models of what the home will look like once it is finished. The end result is a set of working blueprints and drawings that are ready to be used to set your project in motion. © 2015 Soumis Construction, Inc. All rights reserved.